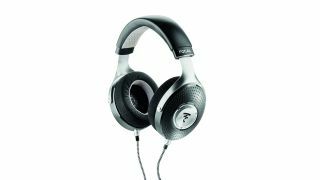 Focal launches Elegia, its first high-end closed-back headphones | What Hi-Fi? Two years after Focal entered the high-end headphone market with the Elears and Utopias (which were joined in 2017 by the Clears), the French brand has launched a similarly-engineered closed-back pair, the Elegias, to offer users more discreet listening at home or on the go. At the heart of the Elegias’ design is what lies at the innovative core of the open-back models: Focal's patent-pending M-shape inverted dome full-range drivers. Focal says the dome, which is made from an aluminium/magnesium alloy, achieves the ideal combination of lightness, high rigidity and excellent damping, with its M-shape benefitting from a larger emissive surface area. The driver includes a vent designed to manage the balance between the bass and the mid-bass, and another located at the back of the ear cup that supposedly works to extend the frequency response of the speaker driver. The Elegias incorporate next-gen electrodynamic transducers, too, and like their siblings are fitted with a new lightweight rubber surround and lightweight frameless copper voice coil (exclusive to Focal) for improved control over driver movement. Not too dissimilar from the open-back models’ aesthetic, they are largely made from a combination of leather and solid aluminium, with the memory foam microfibre earpads designed to help block ambient sound. With an 35-ohm impedance, the Elegias are geared to work with portable devices. A 1.2m cable with a 3.5mm jack and 6.33mm jack adapter is supplied with the headphones, as is a rigid carrying case. The Focal Elegias will go on sale this month for £800.